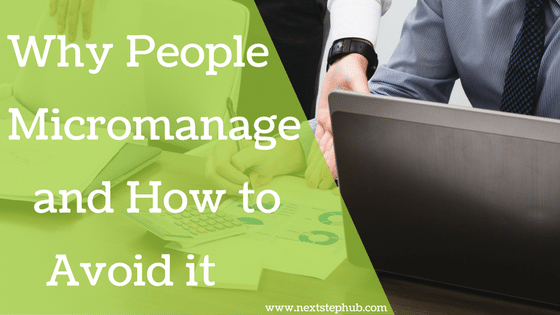 There are many reasons why people micromanage. According to Forbes, fear of failure, a strong desire for power, and a healthy ego are usually the root causes of micromanagement. Whatever the reason is, one thing is for sure; micromanagement has negative impacts on the workplace. In fact, it’s one of the common reasons why employees leave an organization. As a manager, micromanagement can be beneficial in short-term situations, such as training new staff or guiding underperforming employees. But long-term micromanagement can damage your productivity. It prevents you from focusing on high-level issues or creating strategic plans. It can also delay the growth and improvement of your team. Apart from these, micromanaging can also give you massive burnouts. This week on five Tips Tuesday, we’ll help you transform from a micromanager to a better leader. Learn how to avoid micromanaging. Check out how employees really feel about micromanagement. Practice the six skills you need to become a great leader. Take the quiz and find out if you’re a micromanager. And lastly, get the book that can help you correct your managerial behaviors. Micromanaging has many symptoms. Dissatisfaction with the results, the urge to know what your team does, and asking for frequent updates are just a few of them. Though these actions are often well-intentioned, they can actually foster distrust, kill morale, and affect your team’s performance. Read this article and learn how you can avoid the trap of micromanaging. When employers micromanage, they often do one thing – quit. Micromanagement kills employees’ motivation, creativity, and job satisfaction. For some, it can even affect their mental health and cause anxiety. Check out these real stories from employees who experienced micromanaging. Leadership is a skill that anyone can learn. But only those who are determined to work hard are able to master the art of it. Here are the six key skills you should improve to become a great leader. Are you a micromanager? Or concerned if you’re slowly becoming one? You can ask your employees for feedback, but they might not give you the accurate response. Take this quiz to find out if you have a habit of micromanaging. Micromanaging doesn’t only occur in the workplace. It happens everywhere, including at home, in the community and even in friendships. In this practical book “My Way or the Highway,” management expert Harry Chambers explains how micromanagement interferes with performance and productivity. He also gives valuable tips for lessening the impact of micromanagers and how to identify and correct their managerial behaviors. In your opinion, why do people micromanage? What should leaders do to avoid it? Tell us in the comments. Social Media and SEO: How do they Work Together?